A short stay in Italy's green heartland had me feeling at home in no time. It is a terrible cliché, but it’s true. Absence makes the heart grow fonder. All too frequently we take things for granted. Those things unique to our particular way of life, things we are surrounded by every day become, well, ‘everyday’. Our holidays take us to new places, and we notice just how different everything is. We are usually seeking out a place far from the humdrum of home as possible, and on our arrival we promptly order the local delicacy in the first restaurant we dine in, letting our taste buds assure us that we are far from home. After all, the whole point of going away is to get away. That said, what always pleases me is when I find a similarity with something from home, and that something is usually found on my plate. Don’t get me wrong, I’ll be ordering the most local of dishes I can from the most local of vendors in my chosen getaway, finding whatever I can get there that I can’t get back home. And that’s often when I find the surprises. One of these experiences happened during a trip to Umbria, Italy’s green heartland. 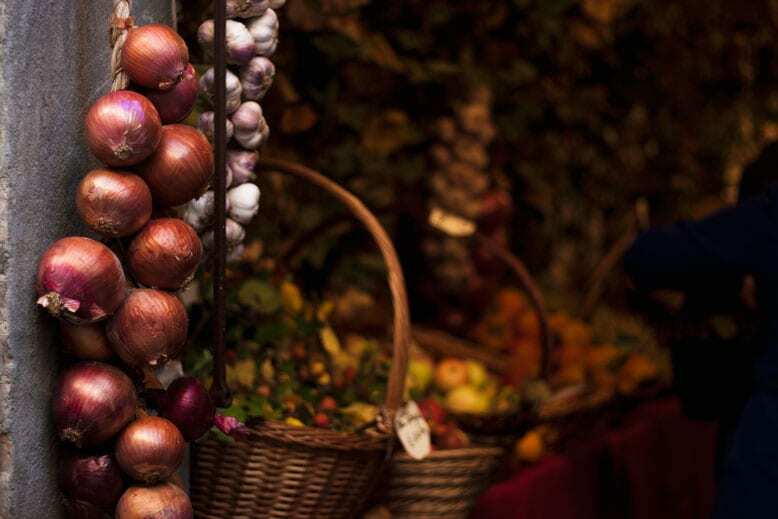 Being a foodie, one of my days was spent in the small town of Montone for the annual Festa del Bosco – “The Festival of the Woods”. This trip being in Autumn, I was joyed to see dozens of tables groaning under the weight of squashes, porcini mushrooms, and the earliest pressings of olive oil. My nose led me to one elderly gent, standing proud beside his cabinet of jars, each one filled with his foraged fayre. 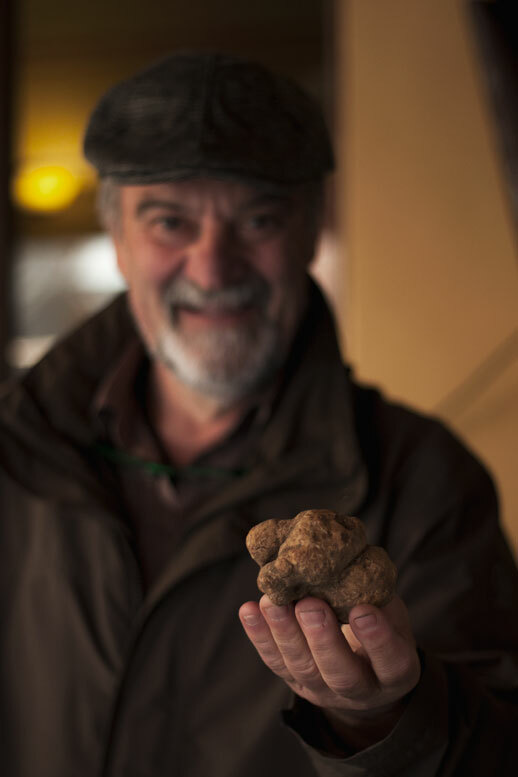 Seeing my excitement, he beckoned me to come forward, presenting to me his prize find from the forest surrounding the town – a glorious white truffle, the size of my fist. In the UK, it’d fetch around £2000. No wonder he was proud. I felt a complete tourist, having slithers of cheese and morsels of cured meats thrust toward me to try, as my thanks is followed by the inevitable “What is this?” muffled as I chomp away on every seasonal speciality I am offered. Wild boar, truffle, fresh pastries, mulled ale, and cheeses. In that moment, I realized that I was the same in Umbria as I am in markets in Devon, having the same conversations with the farmers, foragers and fermenters. And that’s where I found the similarity. The same passion for the produce, the same relationship with the land, the same respect for the seasons that our favourite Devonian producers plough into their products. And as glad as I was to be away, I was reminded of what it was I had to look forward to when I returned home.